However, if you’re a bit confused and you don’t know your Bibbys from your Barkers, Cycling Weekly will this week be giving you a beginners’ guide to the sextet of squads. 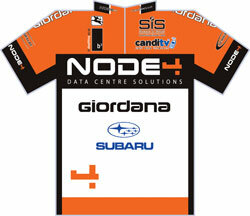 Here, Node4-Giordana rider Steve Lampier talks us through the team. CW: How have the preparations for the Tour of Britain gone? CW: What can you remember about your Tour appearance in 2011? 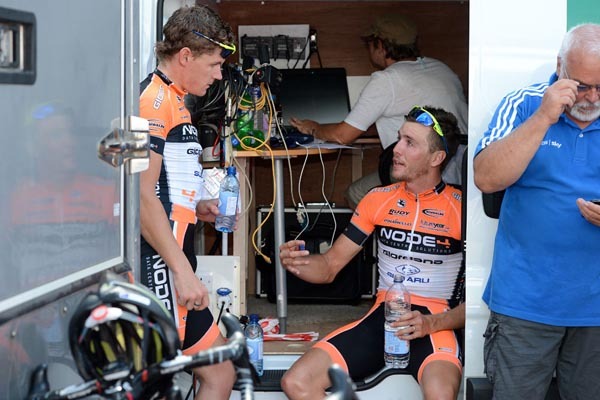 CW: Can you talk us through your Tour of Britain team-mates? SL: “Mike Northey has raced at a good level in Europe and the USA, so he knows what’s what. He likes to make the race, he’s got an attacking mind. Dan Barry is an incredibly strong rider. He finished 13th in RideLondon – the highest of any rider from the domestic teams. He’s incredibly clever; he moulded the carbon fibre race number holders for our bikes, for example. He’ll probably be working hard on stage one to set up Roman Van Uden. Roman is a really nice guy. He’s 6’5″ tall, so he may seem overpowering if you don’t know him, but when you spend time with him you find that he’s really clever too and switched on. He was up there continuously in the Tour Series, and he’s a very quick sprinter. He’s been underrated on the scene this year, and I’m confident we can set him up on the first day.